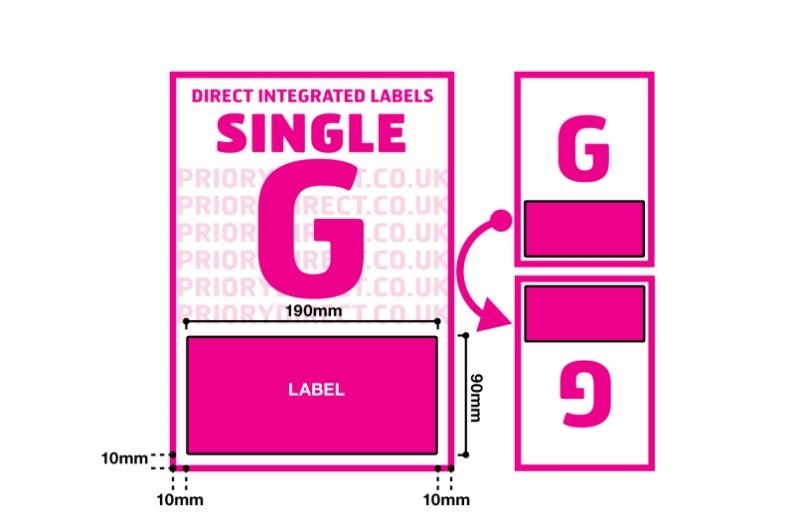 Single Integrated Label Style G has a large removable self-adhesive area. 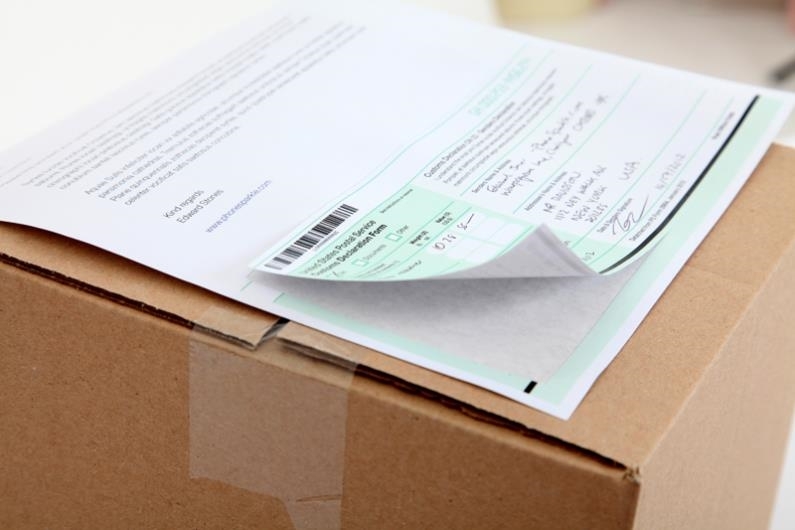 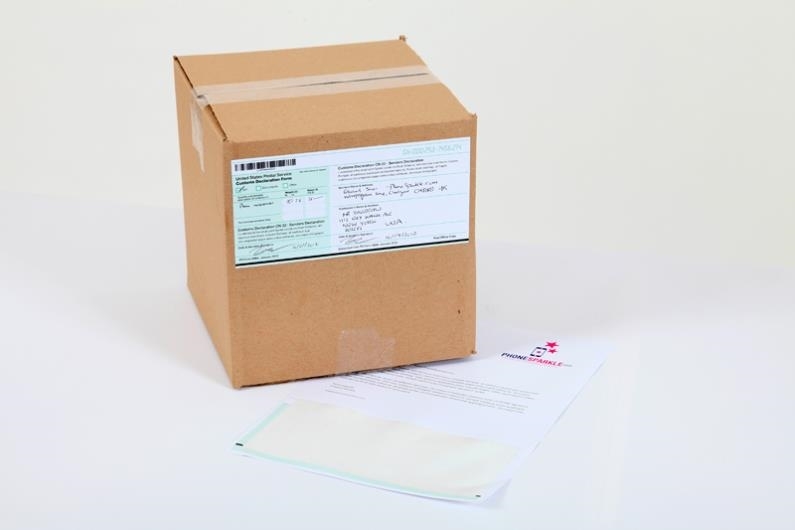 The 190mm x 90mm label is particularly convenient for international dispatchers with plenty of space for long addresses, postage details and customs requirements. 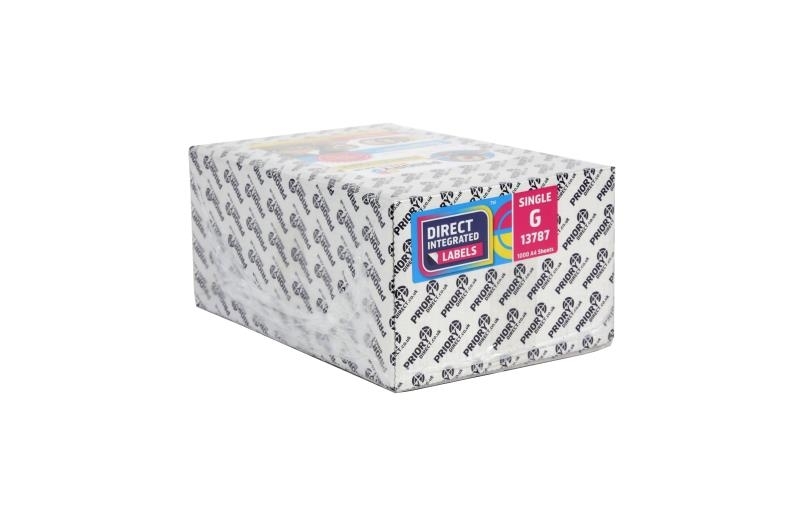 The label is positioned 10mm from the left, right and foot of the page.